During Christmas time in America the lights are on. Decorations dot the landscape that are ablaze with light. As we approach our fourth week of advent, we anticipate the arrival of the Light of the World. And yet how many people are truly “a-light” with Jesus Christ? There is no greater love than the love we see in God sending His Son to become man. . . and to lay down His life for His friends, for us. In Jesus is life, and that life is the light of men. As Christmas approaches share that Light today with someone who is in the darkness. A Prayer: Father, as I work through some of the prophecies concerning Jesus’ birth, I am amazed at the specifics which You gave…and fulfilled. You planned all of it in such a precise manner and fulfilled it to the letter. You are faithful to Your Word. Nothing changes Your plans. When You speak, nothing changes what You say…and therefore, I can rest assured that what You say will happen in my life, will occur. . . Your promises are sure! The appearance: Mary, who is pledged to be married to Joseph, is pregnant before their marriage. The options: Joseph could confess that he is not the father and allow Mary to be condemned as an adultress and possibly face death. Or, he could lie and say he was the father. The reality: Mary was pregnant in a unique and miraculous way – Jesus was virgin born, supernaturally conceived, fulfilling Isaiah 7:14. The appearance: Mary and Joseph had a illegitimate child. Jesus would have been disqualified from normal worship in the synagogues. The reality: Jesus is the One who was, who is, and who is to come. . . He alone is worthy of our worship! Often appearances are the opposite of reality and thus require faith. Joseph demonstrated his faith by believing the reality of what God had said to him rather than believing in the appearance of the situation. For us today, the appearance is that another holiday season has approached. We’ve been taught to say: “Happy Holidays”, not “Merry Christmas”. We plan to spend extra time and money buying gifts. We sing Christmas carols and feel good. But, the reality is that Jesus was indeed the Son of God. He was supernaturally conceived by the Holy Spirit. He lived a sinless life and thus was qualified to become the sin-bearer for the sins of men. 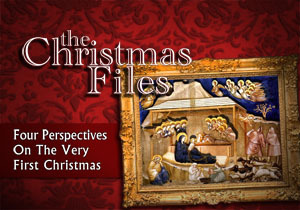 Are you celebrating Christmas – are you living your life – according to appearances or reality? Have you ever wondered why God chose Mary? Of all the young Jewish girls, why was Mary singled out to be the mother of Jesus? From Luke 1:26-55 we learn that she found favor in God’s eyes, she was fearless, and she was full of faith. The angel answered, “The Holy Spirit will come upon you, and the power of the Most High will overshadow you. So the holy one to be born will be called the Son of God.” “I am the Lord’s servant,” Mary answered. “May it be to me as you have said.” Then the angel left her (NIV Luke 1:35, 38). She was fearless, willing to accept the scorn of an accusatory society and an unbelieving nation (unmarried, pregnant women were stoned to death in that culture). She was fearless in following God! “Blessed is she who has believed that what the Lord has said to her will be accomplished!” And Mary said: “My soul glorifies the Lord (NIV Luke 1:45-46). 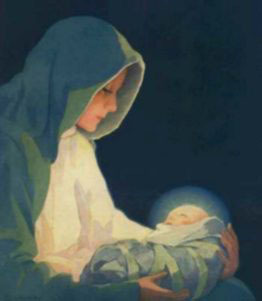 Mary was full of faith, faith in the Mighty One who had done great things for her! Would God say to you: “You have found favor in My eyes?” How have you been living a life that would be pleasing to God? What are you doing that would not find favor with God? Are you fearless? Willing to fearlessly and boldly do whatever God asks you to do? What is God asking you to do now that you are wavering due to fear? Are you full of faith? Are you familiar with the ways of God? Would others describe you as full of faith or just like everyone else? What do you need to do to increase your faith? Will you be like Mary. . . fearlessly following God. . . seeking to live a life full of faith. . . and finding favor in God’s eyes? We pray that you will have a wonderful Christmas. . .one that is filled with joy and peace. . .one that is filled with an awe of His presence in your life. . . and one that is filled with favor from on High! Despite her potential fears, Mary was willing to accept the scorn of an accusatory society and an unbelieving nation. She knew that the penalty for an unmarried, pregnant woman in her culture was to be stoned to death. But, she allowed God to rearrange her life because she grasped the purposes and promises of God. Mary was full of faith, faith in the Mighty One who had done great things for her! 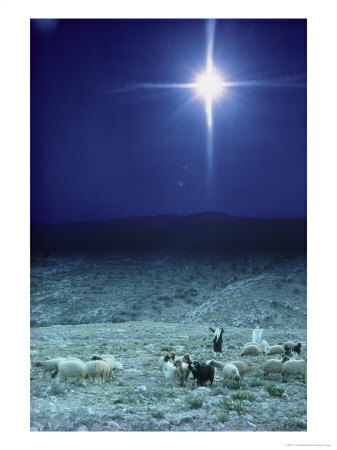 But, the greatest rearrangement of a life is seen in the birth of Jesus. The long-awaited day had finally arrived. The anticipation was high. The angels in heaven surrounding the throne stand in holy awe, for the time had come! Jesus, their beloved Creator, the One who created the angels is about to veil His glory, God’s radiance, and take on human form. Incredibly, the Creator would take on the form of a creature! Their adulation is fitting. In Christ’s birth the incomprehensible happened. The glorious Son of God forsook His splendor in heaven to become one hundred percent human, just as we are. 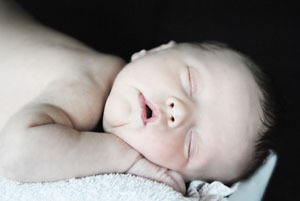 He began His life as a baby. 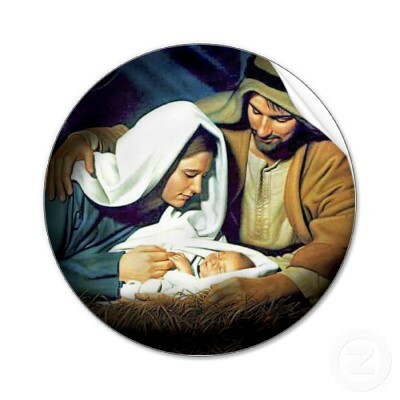 He was born into humble surroundings, completely dependent upon Mary and Joseph. He came down from heaven not to do His own will but to do the will of the Father who sent Him. And that baby grew up and lived out God’s purpose before returning to His Father. “After he had provided purification for sins, he sat down at the right hand of the Majesty in heaven.” (Hebrews 1:3) Jesus voluntarily allowed the Father to rearrange His “life” and He entered into our world. He did so to become our Savior. My prayer for you this Christmas is that you experience the peace which transcends all understanding…peace from Jesus Himself, the One who is, who was and who is to come. 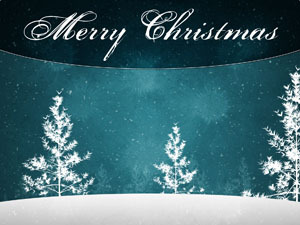 May the God of Hope fill you with all joy and peace this Christmas as you trust in Him. May the Prince of Peace Himself give you peace at all times and in every way. Join me this Christmas season in worshiping our Mighty King, Jesus Christ!